Today is a fun day, because I have a great giveaway for you all. 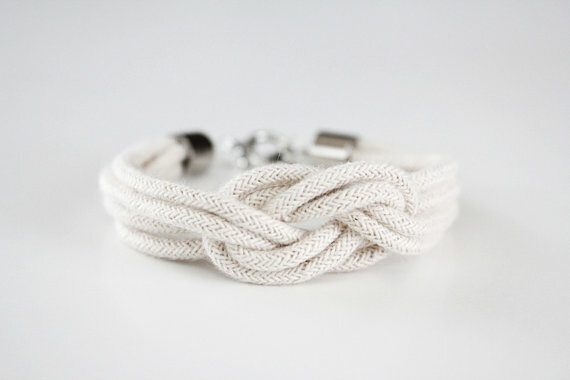 With all the Friendship Bracelet talk going around and my first blogger swap event - I've partnered up with Amy from Junghwa Etsy Shop to give away the Be a Square Knot Bracelet to one lucky reader. But wait, there's more! (I sound like an info commercial, no?) If you can't wait, or eyeing something else...20% off any jewelry item from her shop now until 8/14 by mentioning Chasing Davies in the note section at check out. Be sure to check out Amy's blog too for further shop updates and inspiration. 1. You must be a public follower of Chasing Davies. If you aren't already? Look to the left hand side of my blog and click on the the "Join this site" button that is located near the top. 3. Head to Amy's shop and tell me one thing you are loving! 4. If you are participating in my Friendship Bracelet Swap - you get an extra entry! Let me know (and be sure to tell me the name you signed up under if it's different) in a separate comment below. That is a total of 5 entries you can receive if you do all the above! You will have now through Friday, August 5th at 11:59pm CST to enter. I will announce the winner on, Monday, August 8th here at this blog - so check back!